Conservation within a small volunteer run charity like the Ipswich Maritime Trust is a lot different to larger organisations like the National Maritime Museum, but we still follow professional guidelines on looking after our collection. As we have a lot of old maritime artefacts, specifically wooden items that have spent many years within the water and subsequently out of it, there are specific techniques and conditions which we try and follow while our items are stored in our archives and in our Window Museum. Our Window Museum team is led by Des Pawson and a team of 8 volunteers, several are former sailors and bargemen and many have worked with similar artefacts we have in our collection during their working lives. The job of conserving wooden barges items, metal items, rope and sails is done by the volunteer team too, using cost effective, simple solutions where possible. Our vast collection of models and dioramas also need conservation and are looked after by the team in a similar way. Metal barge bilge pump – This bilge pump is from a collection that was donated by a local Essex boatbuilder, we deemed it suitable in our collection. 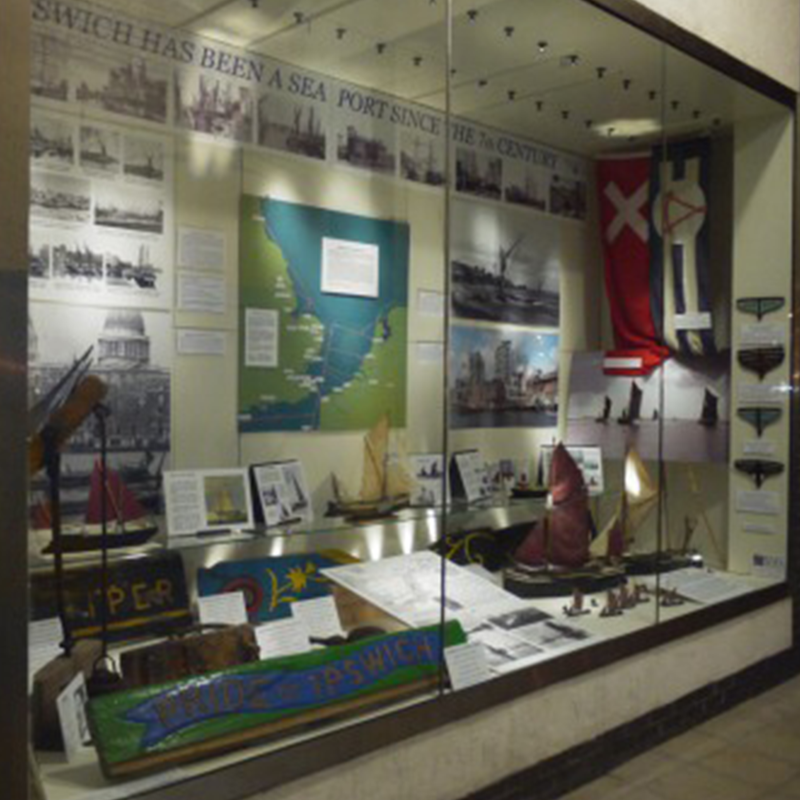 Many relics from old local barges come into our collection so we can share their story and teach people about the importance barges had to the story of Ipswich and East Anglia. As part of the conservation of these items, to keep them from deterioration from rust and the ravages of years submerged in water, our team decided to cover them in boiled linseed oil. This preserves the current metal in state and prevents further rust, it also makes them look better for when on display. This process and these items are monitored twice a year as most of the year these items are in storage or on a 6-month stint on display. The varied weather this year has provided many challenges to the conservation of the collection but our amazing volunteer team have been making continued improvements to the controlled atmosphere inside the container to protect the ever growing collection.